Amazon is the beast that ate shopping. In the US, Amazon is responsible for 43% of all online sales and is worth more than all the big bricks-and-mortar retailers put together. About a quarter of the US population pays for Prime membership (more figures). There’s an extraordinary battle going on in the US right now – 238 towns and cities are bidding billions for the right to host Amazon’s ‘second HQ’ (In Seattle, home of the first one, 7.5% of the working-age population works for the firm). Amazon came to the UK in 1999 – its first major market outside the US – so we’ve had plenty of time to get used to buying all our stuff from the Seattle monster. And, although they don’t publish the numbers, we’re probably just as addicted as the Americans. Radlett’s in an Amazon sweet spot. We’re close enough to the big warehouses to have access to all of the company’s services – from the basic delivery service to groceries (including Whole Foods, the upmarket food retailer bought by Amazon earlier this year) and the Amazon Prime Now app, so you can order practically anything for delivery within an hour. Step outside your front door during daylight and there’s a reasonable chance you’ll see an Amazon delivery happening. Radlett is the kind of prosperous suburban community that forms the backbone of Amazon’s profitability everywhere. We’re a kind of case study for Amazon’s take-over of UK retail. So, we wanted to know how Radlett relates to Amazon. The anonymous survey is still live so please take two minutes to complete it if you haven’t already. There are ten questions and a box for you to type what you think of the company. If you complete the survey you get to see the complete results at the end. Fascinating reading. Over 85% of respondents shop at least once per month with Amazon. For almost a third of us it’s ‘several times per week’! This is the kind of loyalty that any retailer would kill for. 64.2% of us spend at least £50 per month with Amazon and nearly a fifth (17%) of respondents say they spend over £200 per month. That’s a lot of money: the average household grocery spend in the UK is £53 per week. Nearly three-quarters (71.2%) of respondents pay for Amazon Prime – the service that provides free delivery and access to lots of other services, from free Kindle downloads to music streaming. This is really telling. Radlett has a major Amazon addiction. Prime Now represents the next stage of Amazon dependence. A mobile app that gives you free one-hour delivery on groceries – from Amazon, Morrisons and Whole Foods (plus loads of other products held in the Hemel Hempstead warehouse). 30.2% of respondents use it or have tried it. We’ve certainly used the app in our house and the delivery drivers I’ve spoken to confirm that we’re not untypical in using the app to get emergency booze supplies midway through dinner! Not to put too fine a point on it, respondents to our survey are hopelessly in love with Amazon. 84.9% are either positive or very positive about the company. 28.3% ticked the box labelled ‘Very positive – I’ve become completely dependent’. And only 3.8% of us have any negative feelings at all, ticking the box labelled ‘Quite negative – I’m not comfortable with their market power but will use them occasionally’. Tell us what kind of bookshop you’re planning, David. What will it be called? Radlett’s well within range of Amazon’s same-day delivery service. What makes you think there’s still a place for physical bookshops in 2016? What’s your background? Have you run bookshops before? We hear that 30% of your shop will be children’s books. Why are kids’ books so important? Will your shop reflect your own interests? There’s the exciting prospect of ‘locally-made cakes’. Tell me more about the café. Will you put on events, readings and meet-the-authors? I hear you’ve taken the location of the old Wine Rack. Will you retain the parking spaces in front? You can sign up for email updates about the new bookshop on the Segrue Books web site. Following a three-month trial, the farmers’ market in Radlett will not be continued. 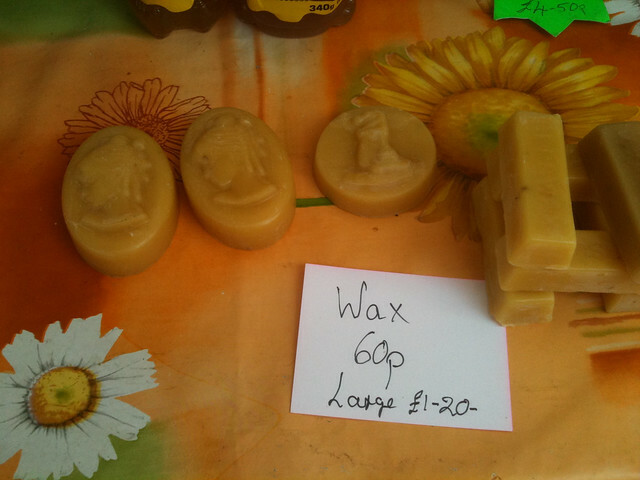 The trial ran at Newberries car park on the third Sunday of April, May and June, with the last market on Sunday (19 June). Councillor Seamus Quilty, Portfolio Holder for economic development at Hertsmere Borough Council, said: “This may be disappointing for local residents but we cannot continue with the market if it isn’t cost-effective for anyone. We have tried to make it work but we can’t continue it for just a few residents, especially in the current financial climate. Simon Payton, Head of Engineering Services at Hertsmere Borough Council with responsibility for markets, added: “The trial started off quite well but never became economically viable – at the end of the day if stallholders don’t make a profit they will not return. What do you think? Did Hertsmere and Hughmark promote the market properly or was it doomed from the start by a lack of adverts and banners? Was the location up to the task or essentially hidden behind the shops? And does anybody really need a fancy market selling artisan bread and organic honey anyway? 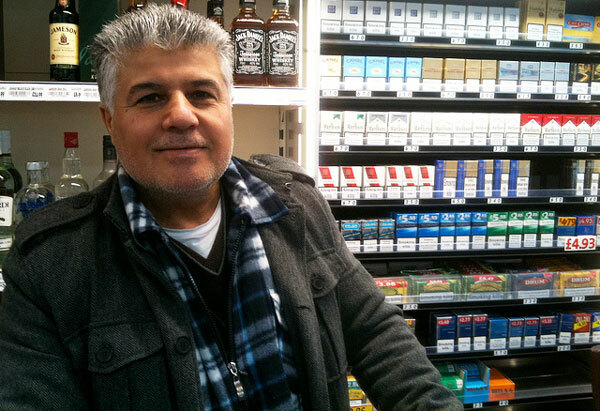 We’ve been dropping into the new shop in the Oakway parade on Watling Street since before Christmas so this is a belated welcome to owner Ali Sumbul (pictured) and his family who run the shop. Staff are terrifically friendly and have the entirely charming habit of noting down the things you’re after that they don’t have in stock so that they can get them in for your next visit. Retail is pretty brutal at the best of times but whenever a new shop opens in this grim climate I find myself crossing my fingers. Ali’s chosen an unpromising stretch of Watling Street which has seen more than its fair share of closures but his shop is open all hours and serves the Northern end of the village that’s a good walk from Tesco and Budgen so he stands a chance of making a success of it. I do hope so! More of my Radlett pictures on Flickr.